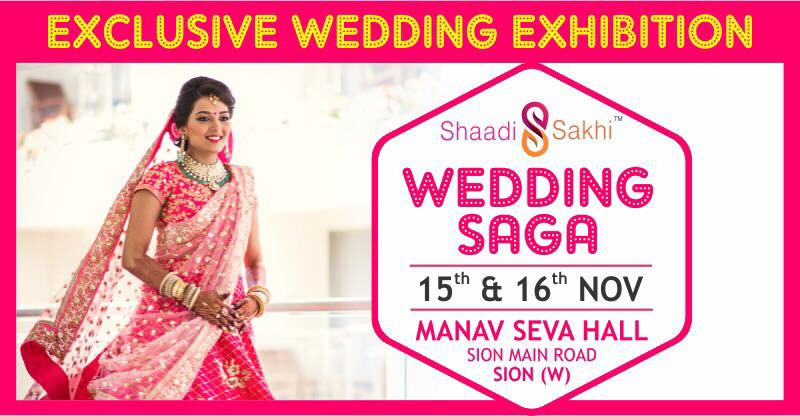 Shaadi Sakhi Exhibitions presents a special edition of its exhibition- Wedding Saga 2017 on 15th & 16th November at Manav Seva Sangh,Sion West. Bride to be and Bridesmaid ,this November we bring to you a chance to find everything you need under one roof.Be it Designer Indian Wear,Bridal Wear,Indo Western Outfits,Bridal Semi Precious & Precious Jewellery, Lifestyle Accessories,Gifts,Home Decor,Trousseau packing, Clutches, Bags, Footwear & much more. Brace yourself because it’s going to be an amazing one!